President Obama’s higher-ed speech: What we really need is a federal job guarantee. To reform higher ed, we need a federal job guarantee. President Obama knows firsthand of the hard times that would be softened by a federal job guarantee. Barack Obama is not my first president, but he is the one I worked hardest to elect. In 2008 and 2012, I organized, raised money, canvassed voters, and drove caravans to the polls. Barack Obama is my president, but I disagree with almost every one of his educational platforms, including his higher-education agenda. Last week, my president hosted a summit on higher education. That’s an issue squarely in my wheelhouse. I knew I should keep my expectations low. Despite wanting to rein in some for-profit colleges, the White House’s position on them has been that they are necessary to expand college access. We could enroll every man, woman, and child in this country in a college found on a matchbook cover and call it universal “access.” But we also need to care about access to college rewards, not just to college admission. That’s why I am underwhelmed by a policy focus on access that ignores the fact that not all access is created equal. I think Obama’s federal college ratings proposal is a solution looking for a problem. Unfortunately, I suspect it is the closest thing to leadership we’re going to get from this administration on higher education. I knew all of this, and still I watched President Obama address more than 80 college presidents at a White House summit on college access and affordability. The president’s talk was moving. (Michelle Obama’s was even more so.) 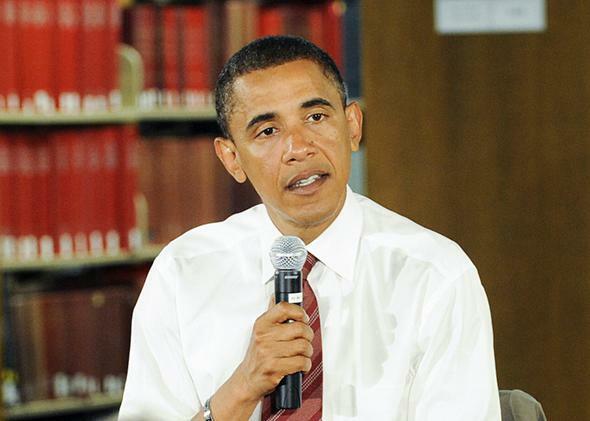 More than almost any president in recent memory, Obama embodies our nation’s education gospel. There is an old gospel song about earning our way into the sweet by and by of heavenly rewards. The education gospel promises that a childhood work ethic of delayed gratification will pay off in a white-collar job at college graduation, amen. It certainly worked out for a kid from Hawaii. But when President Obama alludes to how he could have been a Trayvon Martin or how he only recently paid off his student loans, he signals that he knows well that save one decision, one stroke of luck, his could be an entirely different story. The president criticized our system’s narrow focus on standardized tests in college admissions. He chastised universities for rising costs. And both he and Mrs. Obama tackled the “undermatching” phenomenon, in which qualified low-income kids do not aim for elite colleges even when they have the grades and the scores to do so. That’s all pretty low-hanging fruit. Of course we think kids with ability but few resources deserve a shot at the best college they can get into. Of course we think kids shouldn’t be reduced to a standardized test score. Of course we think college tuition puts higher education out of reach for far too many. Of course the right things should pay off. Of course. I worked to elect this president because I knew he understood, viscerally, how one can do all the right things and still fall through the cracks of the American Dream. With a single mother, a college transfer, and some critical theory at Harvard Law School under his belt, I believe this president knows that greater “access” means not just raising the ceiling for a few kids who deserve it but also raising the floor, no matter whether someone in Washington thinks you deserve it. Which all explains why a job guarantee, which is usually considered a labor policy, could also be an education policy. The majority of incoming college freshmen are going to college because they want a job—not just any job, but a good job. They are not alone. People weigh the emotional and financial cost of college against how badly they want a good job. Everyone deserves to choose college without desperation shaping their choices. A floor beneath wages could give that freedom to more Americans. Economists Sandy Darity and Darrick Hamilton have gone further, arguing that a job guarantee, if carefully designed, could also reduce racial discrimination in the labor market. African-Americans and Hispanics at every level of educational attainment earn less than white workers. Essentially, a job guarantee would subsidize the competitive price for minority labor. It is difficult to imagine that doing anything but improving the educational returns for minority students. A job guarantee would not address all the demographic and structural issues facing higher education. It also may not stand a chance of making it through our current legislative morass. I get both of those realities. But the president’s meeting with university leaders was not a legislative push. It was a carefully orchestrated use of the presidential pulpit. If the stakes are low, why not aim high with the rhetoric? Whether it is a job guarantee or increasing public-sector hiring, education policy must be paired with aggressive jobs policy to be of much use. Hearing the president put those two issues in conversation with each other would, at minimum, acknowledge the scope of the higher-education crisis that is as much a jobs crisis as it is anything else. I wish my president had taken the chance to stand before leaders of the nation’s college system to say that college was great (it is) but that it shouldn’t be necessary for a living wage. I wish he had said that expanding college access meant changing the hard choices too many of us, both young and old alike, are faced with: low-wage work, job instability, and disappearing social welfare programs. I wish he had said that a massive jobs program were the cornerstone of his higher-education proposals because the private sector had pushed off responsibility for its workers to the state for far too long. I wish he had said that there were easier problems with fewer moral quagmires, but he had chosen to take on the hard fight for those who didn’t have a choice but to fight it.